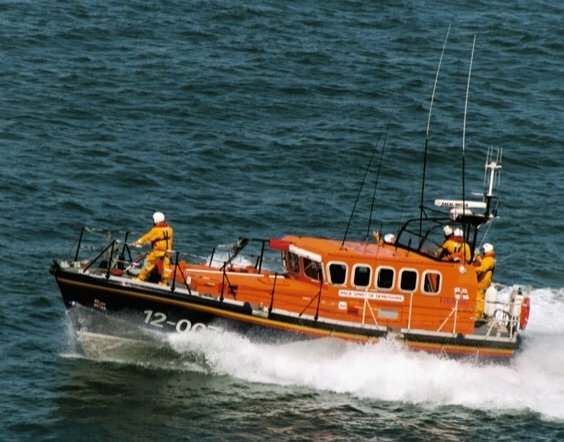 The former Ilfracombe lifeboat 'Spirit of Derbyshire', which was funded by an appeal in Derby and Derbyshire, helped by the RNLI City of Derby Branch. We are the local voluntary fund-raising branch of the Royal National Lifeboat Institution, for the City of Derby and surrounding areas of south Derbyshire. We help the RNLI in whatever way we can – mainly by organising collections in the city centre, at supermarkets, shopping centres and events. If you would like to help us, please get in touch. Perhaps you could give an hour or two to help with one of our collections, or maybe you would let us place a collecting box in your shop or pub? We would be delighted to hear from you! See our contacts page for our email address. The Royal National Lifeboat Institution is a registered charity, no.209603. This website is maintained at no cost to the RNLI.